In October 2008, the first issue of Auto Bild Romania went out of the printing house. It was, and, 10 years on, it still is, the only bi-weekly automotive magazine in Romania. 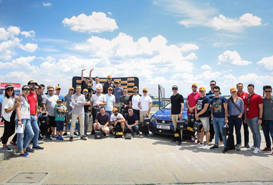 Part of the biggest selling automotive title in Europe (6 million copies sold every month in 32 countries across Europe and beyond), Auto Bild Romania grew quickly to become the nr. 1 automotive magazine in Romania. The secret of this success was a 360 degrees approach to the automotive world, with insights, first drives, tests and comparisons, DIY section and a second-hand database that is still unique on the Romanian market. Auto Bild is basically a practical guide for those interested in buying or changing their cars.